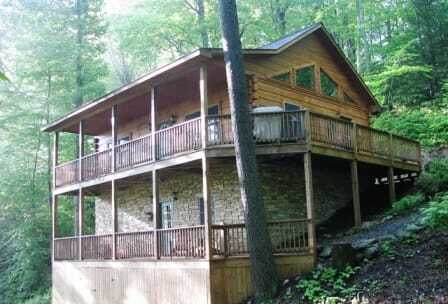 Arbor Den Log Cabin Vacation Rental is a gorgeous 3 bedroom, 3 bathroom log cabin nestled in the Blue Ridge Mountains between Boone and Blowing Rock NC. (located on Toni Ave off of Payne Branch Road). Built in 2002, the accommodations are beautifully decorated with attention to detail. Arbor Den Log Cabin Rental has a fully equipped kitchen, central air conditioning & heat, gas fireplace, wireless high speed 60 Mbps internet, 60" HD TV with 8 HBO and 5 Cinemax channels, surround sound stereo with IPOD/MP3 hookup, BluRay DVD player, Netflix & Pandora Radio capability on all TVs, washer & dryer, hardwood floors, vaulted ceilings, two covered porches and a deck with an outdoor gas grill. Weekly trash pickup. Sleeps 8 with 3 queens, 1 queen sleep sofa. Pet Friendly Vacation Rental. Dogs welcome with a $60.00 pet fee. NO SMOKING! 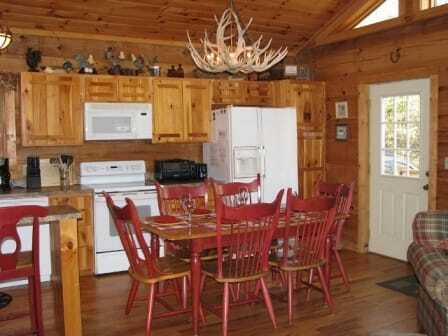 Check out the Seasonal Specials for our NC mountain vacation rental. Contact us for reservations, availability, rates or more information. Arbor Den Log Cabin Vacation Rental is conveniently located near Tweetsie Railroad (1.5 miles), Appalachian Ski Mountain (2.5 miles), ASU (3), Boone Golf Course (1.5 ), Downtown Boone (3.5), Downtown Blowing Rock (6 ), Blue Ridge Parkway (4), Hawksnest Ski (15), Sugar Mountain Ski (18), Beech Mountain Ski (27), Grandfather Mountain (14), Linville Falls (31). 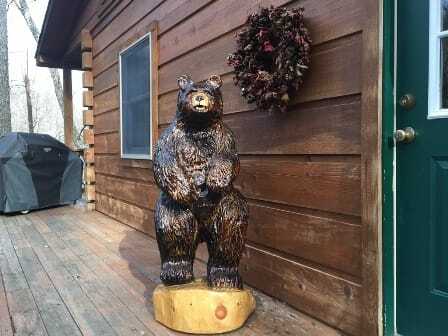 please call 828-263-4231 and ask for Arbor Den Log Cabin Rental. What to bring: Queen sheets, & towels. Plus extra garbage bags, and toilet paper. You do have the options to rent queen sheet $8, and bath towel sets $8 from the management company.